Integrated payment solutions for the travel industry - Today’s travellers want a seamless payment process for all their transportation needs, whether booking a flight or holiday online to commuting on public transport. Remove the barrier to sales with a tailored transport payment solution from Ingenico. 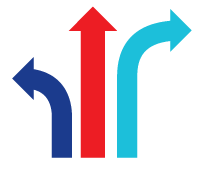 Our experts in aviation, public transport, online travel agencies and parking can point you in the right direction. Airlines and online travel agents have led the online payments sector, while transport companies such as Uber have modernised payment on the go. Keeping the competitive edge means staying at the cutting edge of payment technology. That’s where Ingenico can help. With almost 40 years as Europe’s payment expert, we have extensive experience in integrating payment with business processes such as booking and ticketing, enabling non-cash payments from travel agencies, or those booking direct online or on mobile. Our integrated payment solutions empower you to accept more than 150 payment methods, while our cross-border payment solution takes the worry out of international transactions. Deliver a seamless payment process and see your market share grow. With the exponential growth in travel – air passenger numbers are set to reach 7.3 billion by 2034 – comes the challenge of having a global transport payment solution that can keep up with demand while also adhering to stringent security measures and cross-border transaction protocols. Be confident that you can deliver on both with Ingenico; we process more than 3.4 billion transactions every year, we know what it takes to deliver fast, frictionless payment while keeping your customers’ data secure. And that’s not all. Our transport payment solutions meet all specific transportation certificates for EMV and RFID contactless payments. So you can explore new opportunities, safe in the knowledge that your payment systems can deliver. Long queues at train stations, bus stops or taxi ranks are costing you money. Rationalise your payment options with open loop ticketing systems and smart terminals capable of processing contactless payments. Upgrade your self-service ticket machines with integrated card readers or offer advanced vending solutions. Offer mobile payment options. A digital focus will attract Millennials – your new target market and the key to continued growth. Let Ingenico implement your multi-channel payment strategy, so you can continue to delight your customers at every touch point. Cashless convenience: With mobile payments. 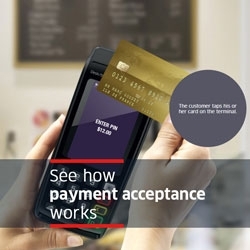 Ingenico’s transport payment solutions include terminals with full wireless connectivity and compatibility with all leading mobile operating systems. Our systems can also integrate with ticket machines. M-Payments will help you capture potential lost business due to a lack of spare change. Remove payment barriers: With open loop ticketing and self-serve ticket machines. The iSelfSeries from Ingenico enables your travellers to hop on and hop off with ease. Go global: With Cross-border Payments by Ingenico. Our collecting service acts as a hub, accepting payment from anywhere in the world, and reducing the complexities of cross-border payment. Capitalise on contactless: With smart terminals from Ingenico. Leverage contactless technologies to improve passenger flow, from airport retail to taxi cabs, allowing you to maximise the opportunity. Stay secure: Ingenico’s transport payment solutions are designed not just to meet PCI certification standards, but to go beyond the minimum requirements, keeping your business ahead of the curve when it comes to security.